Clearing your Heart Chakra and helping it to function at it’s absolute best can be one of the most important things you can do to give back to your body. It’s about letting love in and importantly, letting it back out again. We all need love. We all need to give love too. And let’s face it, with the way the world is at the moment, we need to wrap this crazy world in as much love as we possibly can. So how do you get your Heart Chakra pumping (pun intended)? Holds heart, lungs, breasts, shoulders, armpits, arms, wrists and hands – that’s a busy Chakra! Women, as traditional care-givers, often have an imbalance in this chakra. 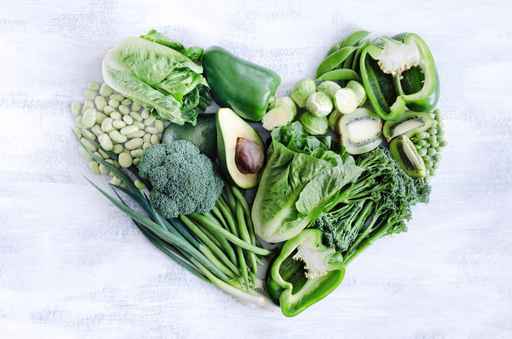 If you want love, then eat green! Think back to those wonderful memories of family meals. I can still remember my grandmothers bringing in their ‘ specialty’ dish. I swear they tasted better because of the love and care they put in to creating it. Think about how much fun it is to cook something from scratch and how good it feels when your food is gobbled up with gusto! Keep the Heart Chakra flowing with energy by eating for love and with love.